Is BRICS the start of a new world order? Encouraging the rise of new centers of power is worth doing, but the process must be seen as part of a complete revision of how global decisions are made rather than the rise of one group at the expense of another. The West’s response to every BRICS summit scarcely varies. The first reaction is to dismiss it as an artificial organization with no future, because its member countries have practically nothing in common. The second reaction is anxiety, because the policies of its members are in opposition to those of the United States. These two reactions contradict each other, because if BRICS is a phantom organization, what does the West fear? What has particularly raised eyebrows among Western commentators in the wake of the world financial crisis is Russia’s presence in the BRICS: What can a commodity-oriented state with uncertain prospects for modernization contribute to a group of “future leaders?” Indeed, Russia is a bit of an odd man out: Its rate of growth is far below that of China and India. More importantly, Russia faces problems that are totally different from those in other BRICS countries. In spite of their impressive growth rates, they remain developing countries; Russia is a developed country that has lived through an unprecedented period of decline and degradation and is now trying to bounce back. The challenges the BRICS members face are therefore similar in some ways and different in others. Any arguments against Russia would be more legitimate if the discussion was exclusively about economics. But obviously the member countries see the BRICS structure above all in political terms. This reflects the objective need for a more diverse and less Western-oriented world order. The institutions that have been functioning since the Cold War are unable to provide answers to the multiplying problems of the 21st century. New arrangements have not taken shape, and the countries that are unhappy about the situation are not trying so much to find a replacement for them as to find ways around them. A multi-polar world needs formats other than those that catered to a bipolar world. It is no accident that BRICS declarations occasionally question the legitimacy of the existing system. Don’t keep your fingers crossed, however, for any reform of the UN Security Council—the current permanent members are not going to share their privileges with anyone, and this applies to Russia and China, which are BRICS members. All five BRICS countries feel that the West has virtually monopolized global discourse. That is not only at odds with the economic and even political alignment of forces, but prevents new decisions from being made. All five members are aware that their attempts to increase their international weight and influence exclusively within the existing structures are doomed. Brazil, Russia, India, China and South Africa are seeking to bolster their negotiating position during the time when a future world system is being created. The fact that they represent parts of the world that are becoming more and more significant lends more weight to their aspirations. For Russia, which has been searching for a foreign policy identity since 1991, the BRICS idea has come in very handy. It would be hard to find another format that would encourage a non-Western orientation in foreign policy, remind the world of Russia’s global ambitions, and stress the country’s similarity to states that are world leaders in terms of economic growth. An additional benefit is the group’s principle of non-confrontation; all the BRICS members strongly deny that their organization is directed against anyone. But whatever the talk and even the thinking in the BRICS capitals, it stands to reason that increasing the influence of one group of countries can only happen at the expense of diminishing Western influence. Certainly that is not necessarily bad if it happens in an evolutionary way. The objective reality is that the world needs a new balance, and this calls for encouraging the rise of new centers. If one group seeks to retain its privileges and other groups quietly work to erode them, the world will definitely experience a new upheaval. The world order that would emerge from it would depend on the outcome of that upheaval. The criteria would be clearer, but the price would be dear. 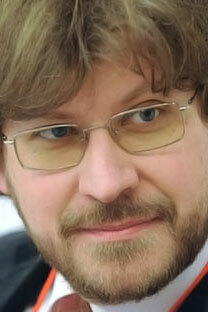 Fyodor Lukyanov is chief editor of the magazine “Russia in Global Affairs”.